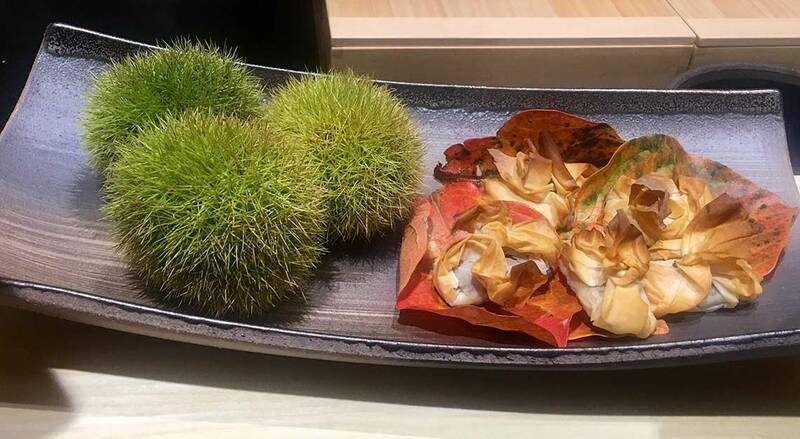 When fans of Hashida Sushi heard that the fine dining restaurant that shuttered at Mandarin Gallery was to reopen at Mohamed Sultan Road, it was music to their ears. After all, with chefs like Andre Chiang and the late Joel Robuchon packing their brands and calling it a day in Singapore, who could say what that meant to our culinary scene? 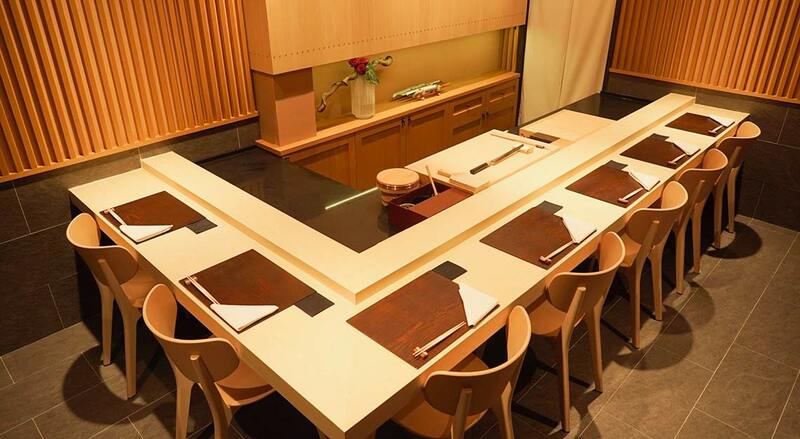 Housed in a beautifully restored shophouse, the new Hashida Sushi Singapore has three separate rooms that sit eight, 10 and 15 diners. There’s also a bar serving a selection of spirits and sakes, including an exclusive sake from Syata Sake Brewery in Japan’s Ishikawa prefecture. Come December this year, guests can look out for the Hashida Sushi private label Tengumai sake, as well as an exclusive sparkling wine from Hokkaido, made using the Niagara varietal. 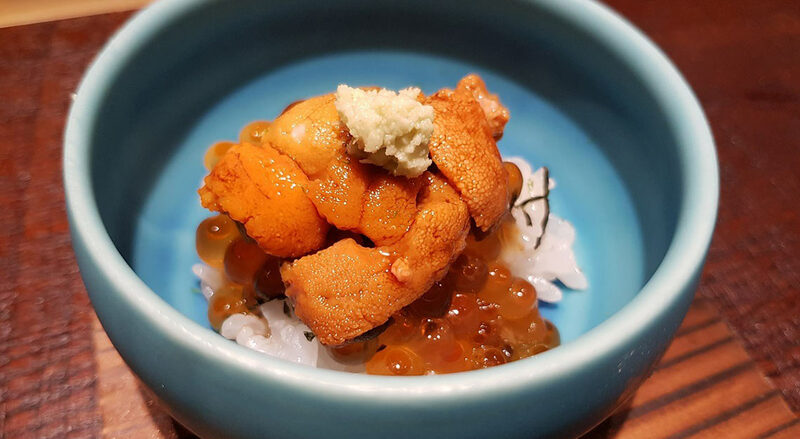 Chef Kenjiro “Hatch” Hashida continues to roll out refined sushi and other creations for his omakase menus. 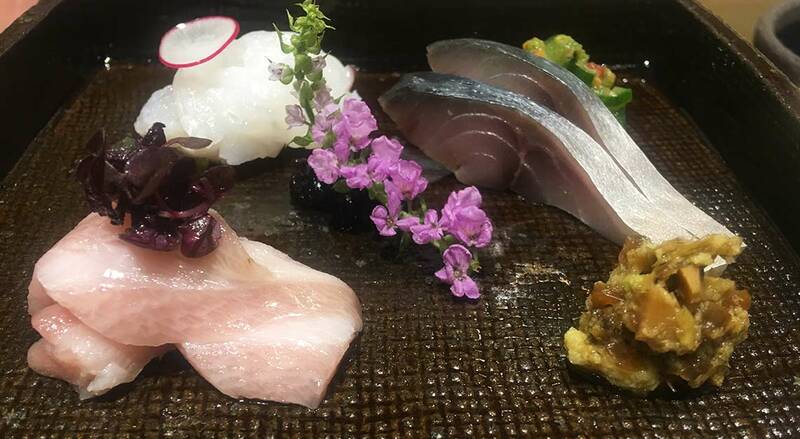 At the counter, the chef presides over slabs of fish neatly arranged in wooden boxes, meticulously slicing different types of seafood for sashimi platters. Sometimes, he elevates the flavours with a touch of acidity or piquancy. Slices of aji (horse mackerel) are topped with Japanese green chilli and koji rice, and yellow tail is partnered with homemade white radish pickle. 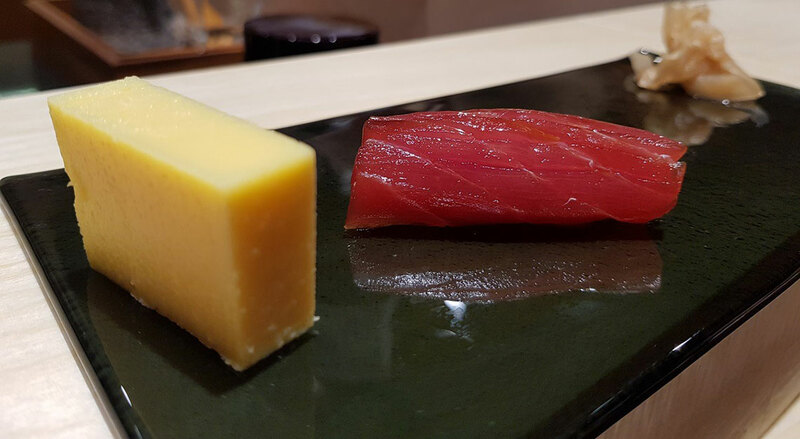 For certain sashimi dishes, the chef encourages you to dip the fish into a soy sauce from a special small batch that he’s brought back from Japan. 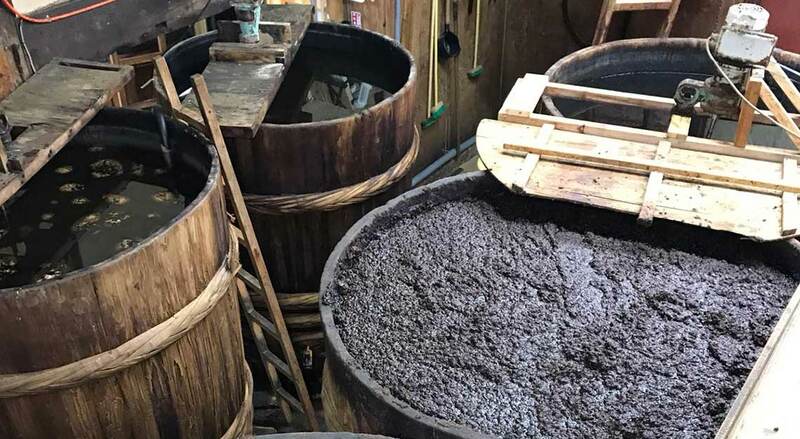 Chef Hatch shares that he will be serving his own premium soy sauce that he’s producing with a 120-year-old soy sauce brewer in Iga, Mie Prefecture. The umami-rich soy sauce that’s currently being aged will be ready in 2020. 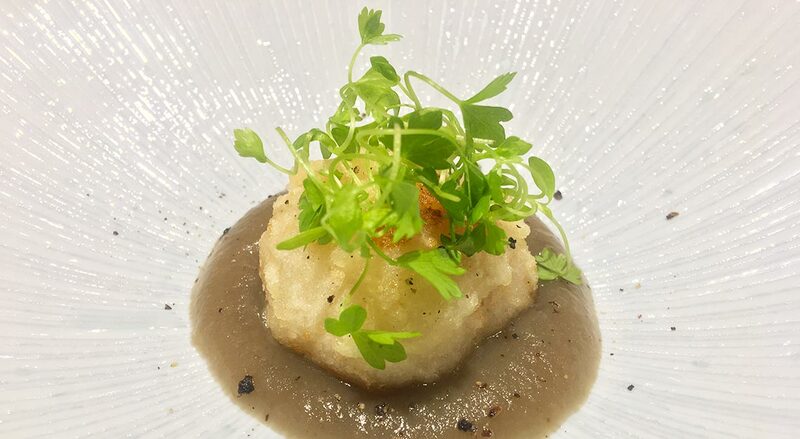 In the omakase menu (or lack of), expect masterfully prepared items like soft dumpling of lotus root and white fish served with a creamy mushroom sauce, and sprinkled with black pepper. Or belt fish with chestnut paste, wrapped with filo pastry, and livened up with soy sauce powder. Guests may also get to try succulent charcoal grilled snow crab, served on its own, to fully appreciate its natural sweetness. The restaurant also aims to be sustainable by incorporating zero-waste in its ethos. For instance, wasabi skin is cooked and simmered with soy sauce and melded with freshly grated wasabi. The palate cleansing sorbet is made with peach, lemon, jasmine, sudachi lime and ginger juice, squeezed out from the remaining ginger that’s intended for pickled ginger. 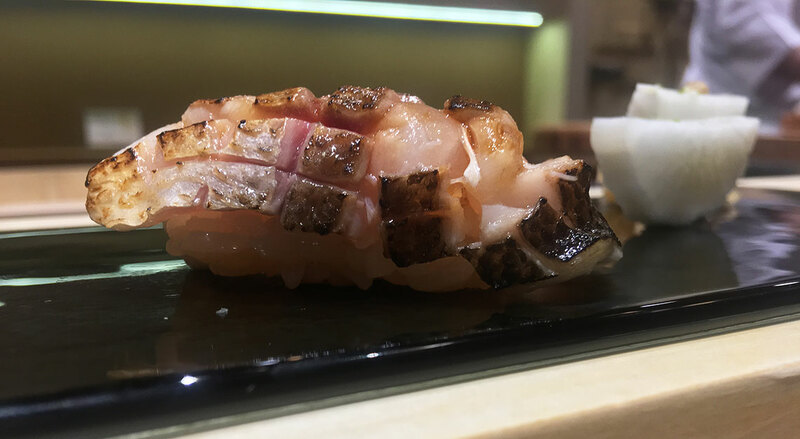 For the sushi course, diners are assured of technical precision and finesse from the carving of the fish to the moulding of the lightly vinegared rice. 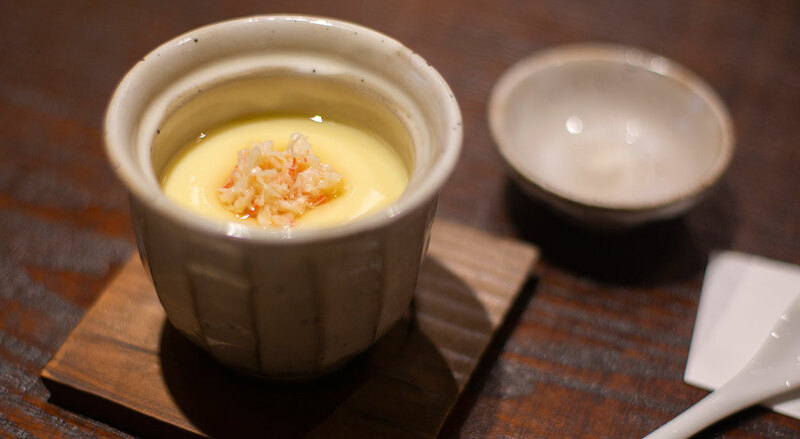 Depending on what’s flown in, you’ll get to try succulent botan ebi (pandalid shrimp), sea bream, mackerel, kinmedai (red fish), or kamasu (Japanese barracuda) draped over perfectly cooked rice. 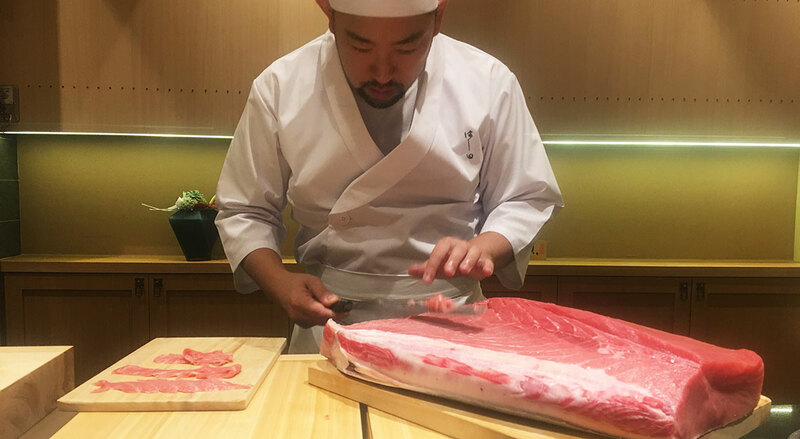 To signal the end of the feast, the chef slices layers of tuna belly from a massive fat-streaked block and prepares the final piece of sushi for you. To warm the soul, a bowl of soup brimming with slippery fish noodles made of 98 percent fish – no less – is presented to boot. Desserts take the form of sweet persimmon slices alongside ultra-soft house-made warabi mochi, plus a cup of frothy matcha affogato to round off the evening. 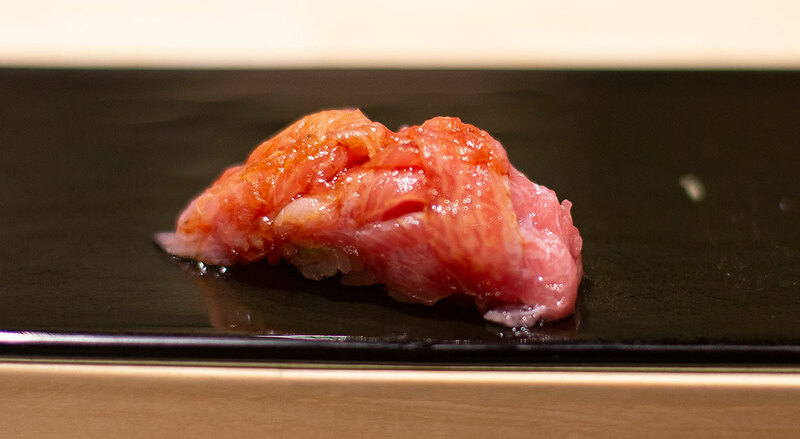 Hashida Sushi’s launch here in October will be followed by subsequent international openings at Ellis Street in San Francisco in November as well as at the Kachidoki/Tsukijii area of Tokyo next July.